The holidays are over. Now your mailbox is full of seed catalogs, and your local nursery is displaying racks and racks of seeds. It’s time to start planning the garden for next spring! But the seed packets and catalogs have terms you’ve never heard of before. What do the terms mean? Once you know your seed packet terms, you can get out there an peruse the garden center seed packets. 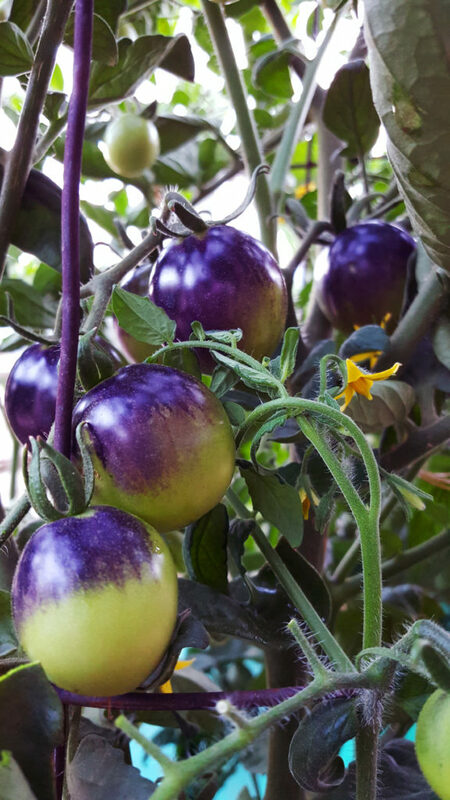 You might even try this open-pollinated variety called indigo blue beauty tomato. Photo by Wendy Hanson Mazet, University of Nevada Cooperative Extension. You may have heard the buss word Genetically Modified Organism (GMO), a plant or animal whose DNA has been altered using biotechnology so that the organism contains a new gene or new combinations of genes that provide improved traits. Many seed packets will say “non GMO” though any seeds you buy will not have GMOs in them anyway because GMO seeds must be bought from a biotechnology company by a farmer who signs a technology use agreement that communicates what can and cannot be done with the seed. Needless to say, you can rest easy knowing your plants are not GMOs, though you may want to know if your seeds are hybrid, especially if you like to save seeds from your crop. Hybrid seeds are not the same as GMO seed. Hybrid seeds are produced by cross-pollinating genetically distinct plants, either different species or plants of the same species with different traits. Natural hybrids can occur, but most commercial crops are produced by controlled cross-pollination. Hybrids are created to improve the characteristics of the plants: prettier or bigger flowers, plumper seeds or bigger fruits, shoots or roots. The original rose, potato, tomato and squash were much smaller than present-day varieties all because of hybridization. By selective cross-breeding over hundreds of years, higher yields, tastier crops and prettier flowers have been produced. You may see F1 hybrid on your seed packet. These are produced by cross-breeding two pure-bred plant lines that have certain desirable traits. F1 refers to the first-generation offspring, which exhibit the desirable characteristics of both parents. The terms “F1 hybrid” and “hybrid” are often used interchangeably in the seed industry. F1 hybrid plants become a problem if you want to collect seed for the following year’s crop. Seeds from F1 hybrid plants will not reproduce true to the parent plant, and the offspring will be less vigorous. If you want to try seed-saving, do not buy F1 hybrid seeds. Instead, buy open-pollinated seeds in which pollination occurs by the wind or insects, and is not restricted or controlled. Next to the hybrid seeds, you may see heirloom varieties. These are open-pollinated varieties of a particular plant that are at least 50 years old (also described as introduced prior to WWII). Heirloom seeds produce plants that remain stable in their characteristics from year to year but can have variation in harvest time and fruit size. Heirloom seed packets commonly list the location or person who has kept the heirloom variety going for many years. Avid users of heirloom seeds believe they are not only growing a great plant variety, but they are also helping maintain genetic diversity and keeping a historical connection to their food. Many seeds also have organic certification. This is a federal certification that requires that the seeds be grown under very stringent conditions, with limited pesticides and other inputs. Certified organic seed must, by federal definition, be non-GMO. For more information on organic standards, go to The USDA Organic Standards website, http://www.ams.usda.gov/grades-standards/organic-standards. Melody Hefner is the urban IPM and pesticide safety education program assistant for University of Nevada Cooperative Extension. Have a gardening question? 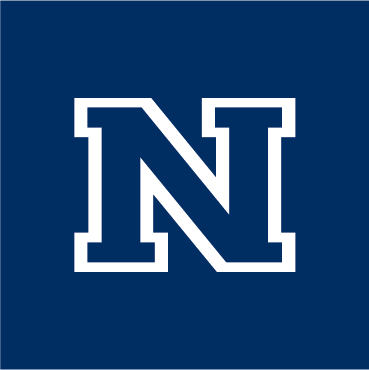 Ask a Master Gardener at 775-336-0246 or mastergardeners@unce.unr.edu.